GIGIRA Laitepo Morobe United FC face being axed from the Telikom National Soccer League if they do not find a major sponsor soon. The team is made up of players from the Lae Football Association and the Lahi Soccer Association of Morobe province. The Telikom NSL board has so far registered three teams for its 2013 semi-professional competition and is leaving the door open for another three teams to pay their affiliation fees by the start of the season next February. Franchise owner Tuguyawini Libe Parindali indicated yesterday that he would discontinue his sponsorship of Morobe United following the removal of LFA president Tokey Mambare, who was the team’s mentor and associate of the Southern Highlands businessman. “He is my man who drives Morobe United FC forward during past NSL seasons and I feel comfortable working with him,” Parindali said. As the founding sponsor, the Hides Gas Development Corporation chairman said he was always willing to assist soccer in Lae and Morobe Province. Parindali said that despite Lae being the country’s industrial capital many private companies were reluctant to support soccer, which was the most popular sport in Morobe. “Hides have no soccer fields but it is the love of the game that my board agreed to continue supporting the development of football through backing the semi-professional side despite not getting monetary returns for our investment,” he said. Parindali said his franchise had spent K1.4 million to support the NSL since its inception six years ago. He said the franchise name changed several times over this period, from Tuguba Gigira Laitepo Blue Kumuls to Gigira Laitepo Morobe FC, Gigira Laitepo Central FC and back to Gigira Laitepo Morobe FC. Parindali commended other sponsors, including Petroleum Resources Kutubu, Hekari Holdings, Welgris Fuel Distributors and Mineral Resources Development Company. 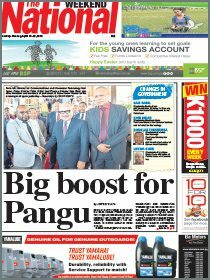 He also thanked former Madang MP Alois Kingsley for backing Madang Fox and Niugini Builders for supporting Unitech FC. 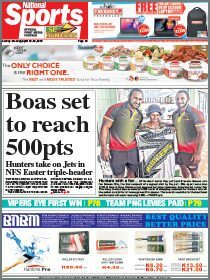 Parindali challenged new NSL board chairman Isaac Lupari and PNG Football Association president David Chung to initiate innovative development and marketing plans to make NSL a profitable and sustainable commodity. Former LFA president Mambare could not be contacted yesterday to respond to Parindali’s comments about the Morobe United crisis.